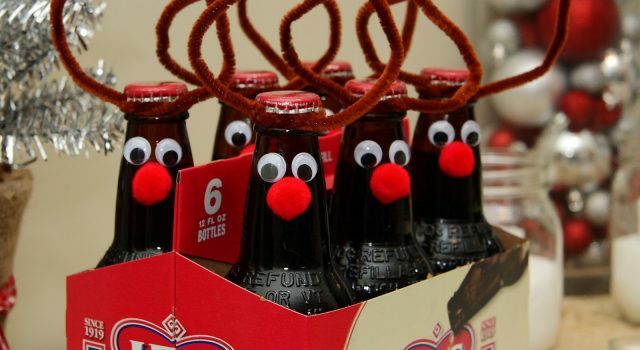 The holidays season is coming and when you want to be creative for the men in your life, why not consider some DIY Christmas gift ideas for guys? No matter the age, homemade gifts excite anyone on the receiving end, because they come from the heart. These types of presents demonstrate personal effort and thought. Men, in particular, may be the least ones expecting a do-it-yourself gift, and that’s exactly why it’s the perfect time to surprise them with one. A DIY gift for guys doesn’t have to be fancy. Stick with the typical guy themes, like wood, meat, and metal, and you should be fine. The following are 4 DIY ideas to give you inspiration. Whether the guy in your life plays the guitar and smokes cigars or not, this diy item is sure to be a hit with him and his friends. 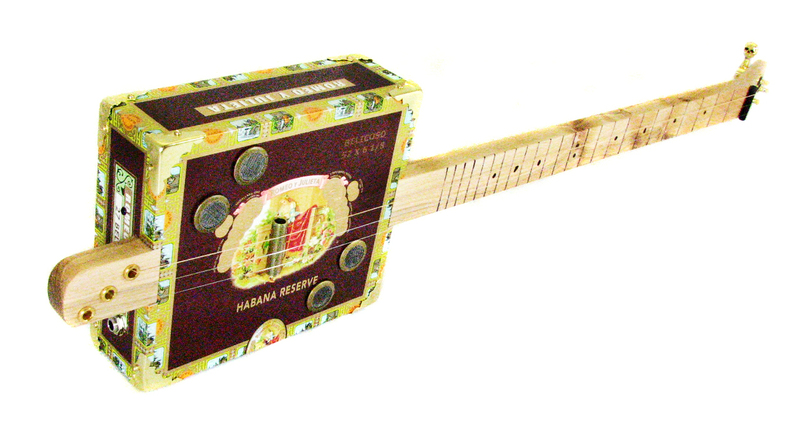 The cigar box guitar clearly qualifies as one of those diy Christmas gift ideas for guys, because even if it’s purely for decoration, it’s still a one-of-a-kind piece. Not only that, this type of crafty item screams “manly!” The cost to construct one of these is generally around $30 and it takes 1-2 days to complete. It may be a little tough for those without a little woodworking experience, but if you accept the challenge, the gift sure is rewarding. This is one of the best items a guy could ever find in his stocking on Christmas morning. Not only is it incredibly easy to make, it’s one of those diy Christmas gift ideas for guys that the whole family can enjoy! Although it is recommended you use a dehydrator (they are fairly inexpensive) you can also use your oven to dry the meat. Beef jerky needs to marinate for at least 24 hours, so this is a gift that should be prepped a few days in advance. There are thousands of easy recipes online to choose from depending on a guy’s preference and taste. Why not bring out the kid in a guy and make him the simplest Christmas toy that—guaranteed—he won’t put down for hours. The cost for this crafty apparatus is only $5 but the memories can last a lifetime. All it requires is a sturdy stick, a felt patch for the launch pad, and some rubber tubing from the hardware store (or you can use heavy-duty rubber bands). 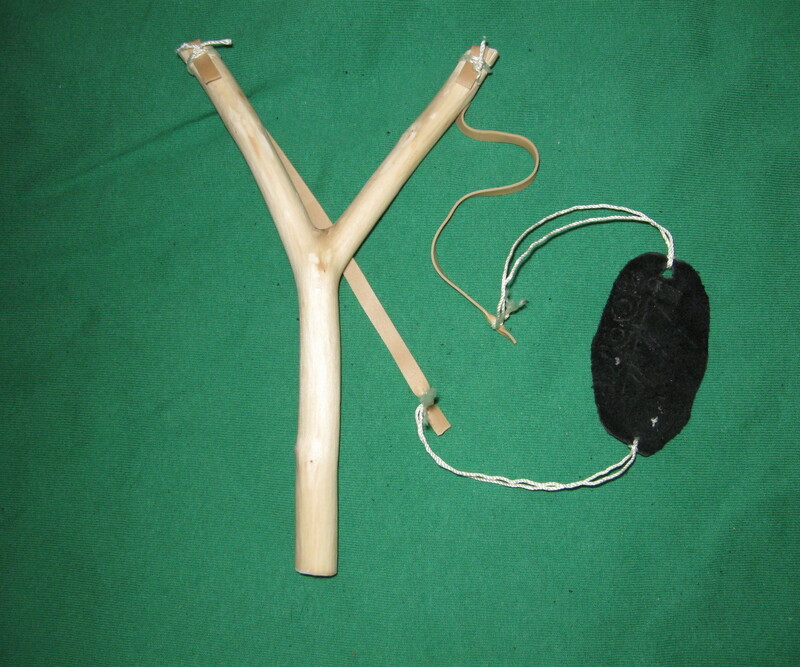 Although a slingshot may seem like one of the unconventional diy Christmas gift ideas for guys, it can still be a funny present that shows you care about his playful side. As long as no one loses an eye, your diy gift will be a success. If a guy loves his tools, then he will take this diy gift very seriously. Although most guys probably have a variety of tool boxes, they’ve never had one made by you! If you often find his random tools scattered throughout the house, it’s time to make a passive aggressive Christmas suggestion. 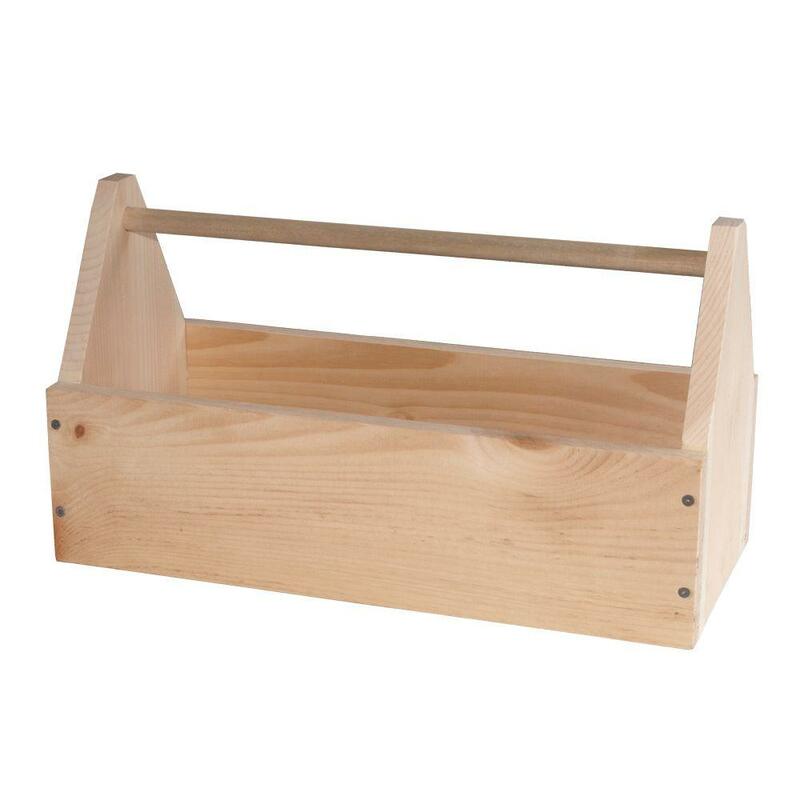 A wooden tool carrier is one of those ideal diy Christmas gift ideas for guys that will impress him on his level. The cost to construct this gift is only $10 in materials and it generally takes 1-2 hours to build. A nice coat of red paint would put the finishing touches on a thoughtful and manly gift. As another year quickly passes us by it is time yet again for the Halloween celebrations, fancy treats, parties and a lot of fun. People have already started their preparation and are looking for the hottest trends of the year, so we decided to put together our own list of fancy homemade makeups for Halloween. These complied face paints are done using only some basic products which are easily available at your home like talcum powder, lipstick, mascara and eye shadow among other things. This is sure to get you inspired to make some awesome ideas of your own which may seem like they’ve been done by a professional artist, here are some excellent examples of what you can create at home with some basic makeup items. 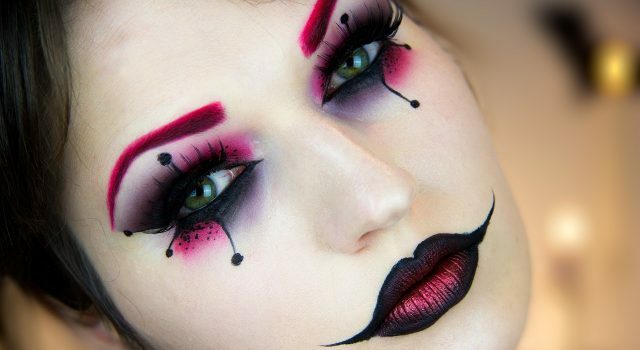 We are all familiar with the “Joker” facepaint idea which got immensely famous after Heath Ledgers fanatic performance in the Batman Movie, now there is a new way to wear the very same look. 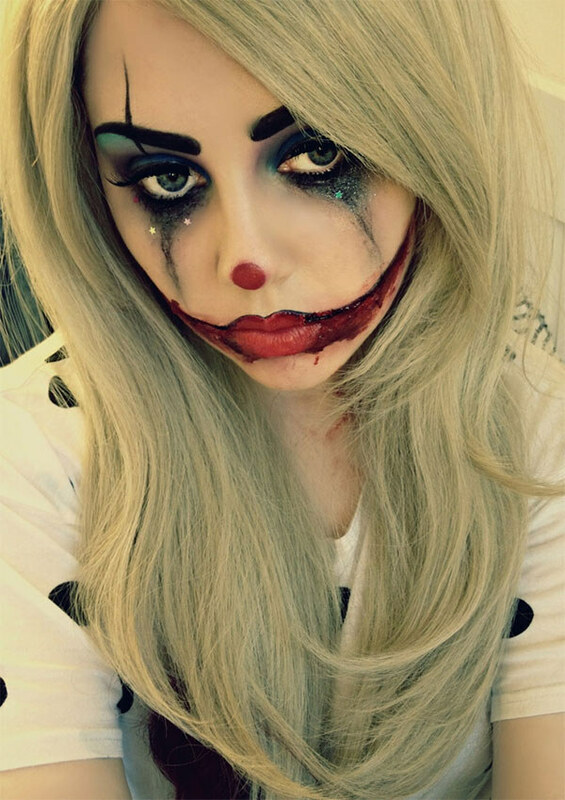 Here we have an excellent idea based on the “Joker” theme which could be a great idea for Halloween, the girl in the image has used regular lipstick to make the bloody smile that reflects the signature joker style. Further, she has used colors like dark blue, black and even a little turquoise eye shadow, and to add it all up she has also used some glitter to create huge tear marks and the look is completed with fat out-liner for the eyebrows which make it one of the most common yet iconic homemade makeups for Halloween. Another trending face paint idea this year around is the half alive and half dead face design for Halloween, there are a ton of people trying this out and the results are fantastic. In the image we see an example where the makeup has been completed using ingredients like talcum powder, a basic moisturizing cream, some lip stick and contact lens to create an intense half face look. 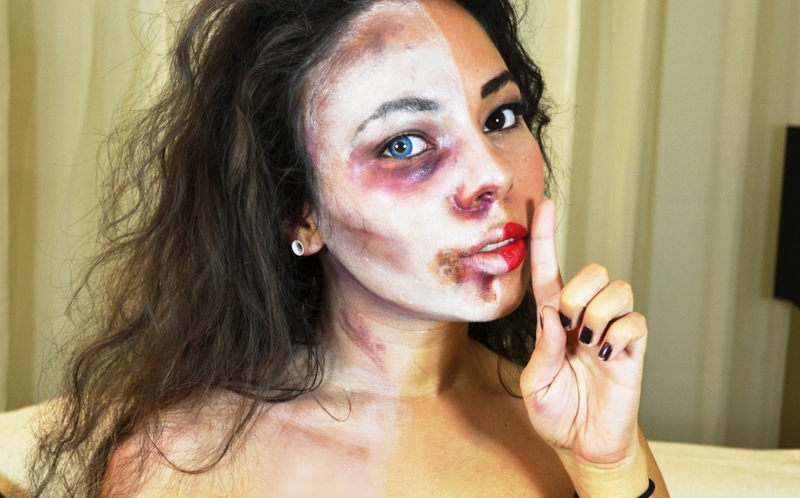 The painted side of the face is made to look lifeless and bruised using lipstick patching techniques. 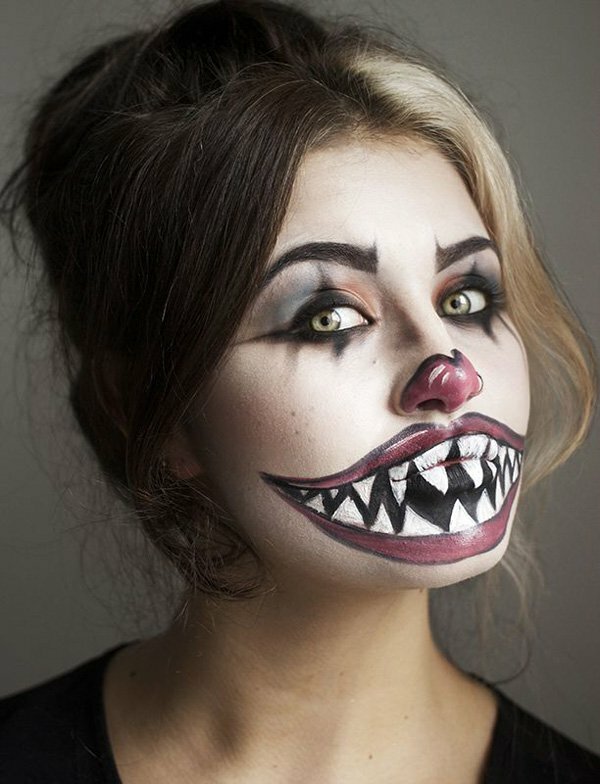 The final look is pretty unique and a pretty impressive idea for Homemade makeups for Halloween. There are limitless possibilities in homemade makeups for Halloween, this one is something between Cheshire Cat from Alice in wonderland and the freaky clown that has stars made around the eyes. Here we have a nice example where the paint with the most basic items including talcum powder, eye shadows and a little lipstick too, the models mouth is painted to look similar to the Cheshire Cat from Alice in wonderland the art covers most of the mouth and chin as well. Whereas the eye makeup is kept very simple with eye shadow spikes around both the eyes which has been made to look like huge eyelashes and the look is completed with yellow colored contact lenses. This is a fantastic face paint for Halloween which can easily be done at home using basic makeup items and exotic zombie lenses called scarela that are available over the internet easily and are quite popular around Halloween time. 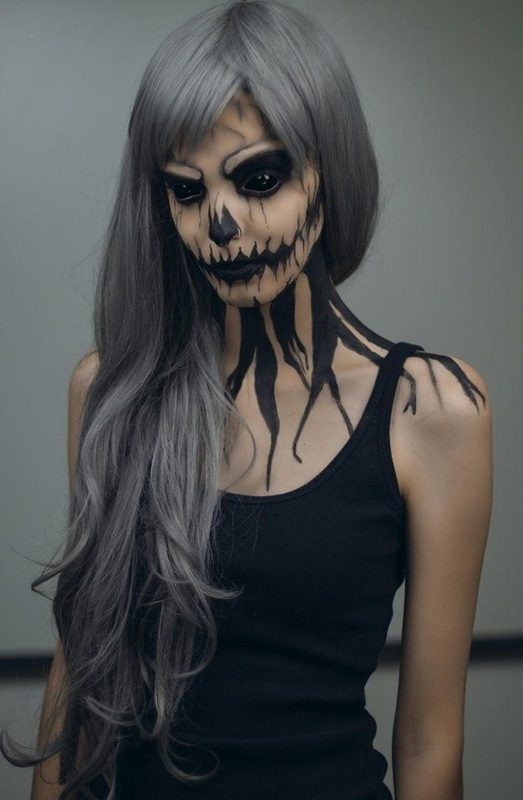 The girl in the image is made to look spectacularly horrific with basic painting around the eyes, lips and down the neck to resemble a amazing ghoul, the hair color and the contact lenses are greatly complimenting the look. This is truly one of the greatest homemade designs for Halloween, try out some mixing and matching of different ideas to create your own Halloween look. 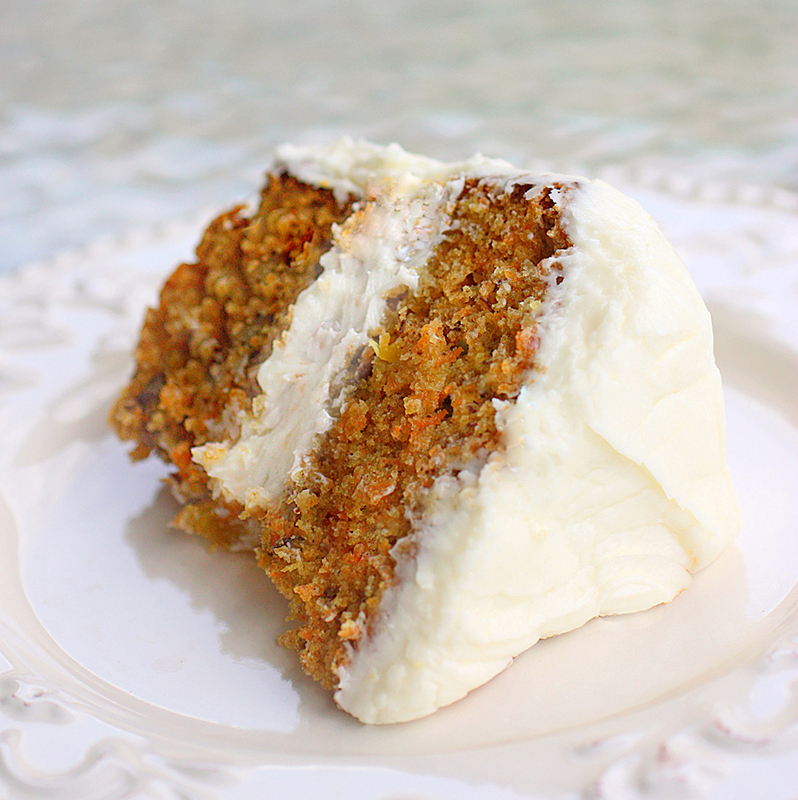 Nothing goes better with the Easter Bunny than a delicious cake made from carrots, every bunny’s favorite treat! This simple but scrumptious Easter dessert recipe will have everyone hopping for second helpings with it’s perfect combination of flavors that include carrots, cinnamon, pineapple, pecans and vanilla. As if that weren’t enough, the cake features a gorgeous homemade white frosting whose velvety finish really stands out against the bright orange interior, it’s an elegant look that goes will is the perfect compliment to anyone’s Easter decor. This citrusy treat is the perfect Easter dessert to light up your taste buds and give you a little taste of spring at this year’s get together. 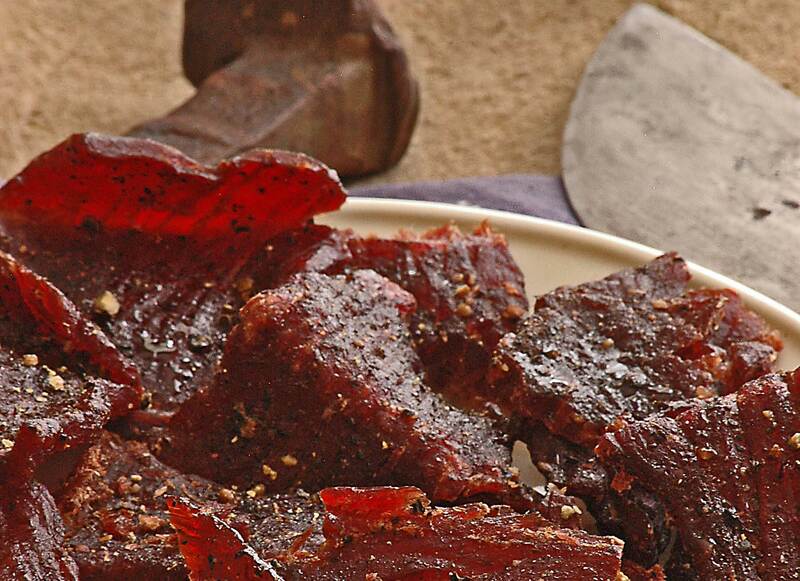 The ingredients in this recipe are easy to find and all natural which means that you can enjoy every last bite without having to worry about weird and unpronounceable preservatives. 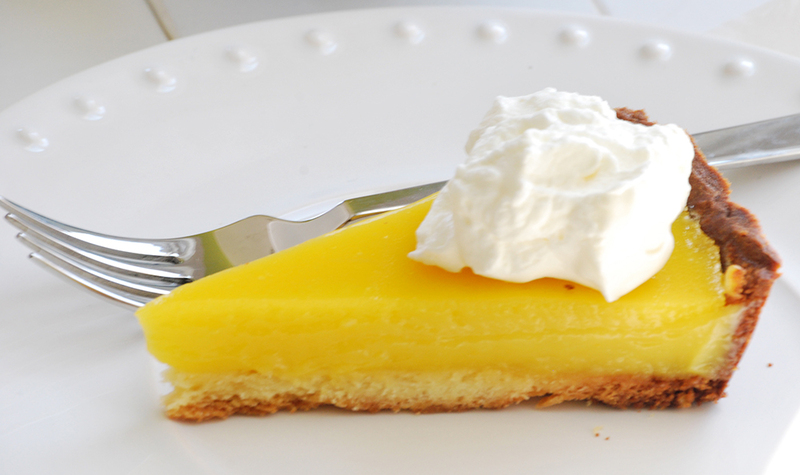 The best part about this recipe is that you have two choices when it comes to making it: you can choose to buy a premed pastry crust that you fill with the homemade lemon tart itself or you can go for 100% made from scratch with your own homemade pastry crust, the instructions for which are also included with the recipe. Cupcakes are super in right now and why wouldn’t they be? When you eat a cupcake it’s like you have your own personal sized dessert just for you. 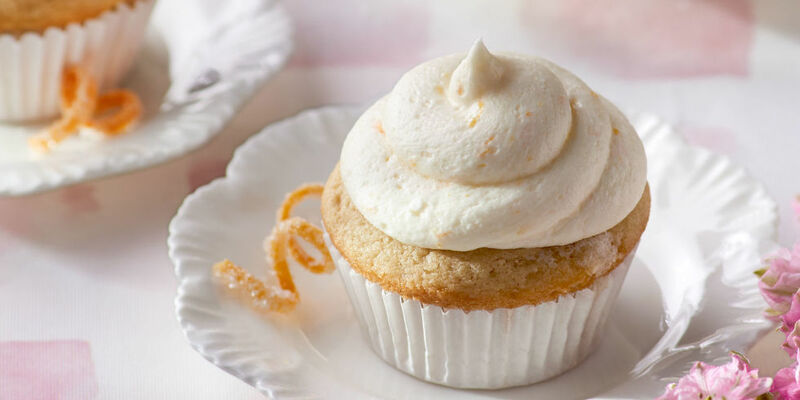 This recipe puts a playful spin on the traditional vanilla cupcake by infusing it with a homemade Earl Grey tea syrup that gives the cupcakes a really unique flavor that puts an extra kick in your step. Speaking of kick, this recipe also includes a homemade orange zest frosting recipe to top off your all of that Earl Grey goodness. 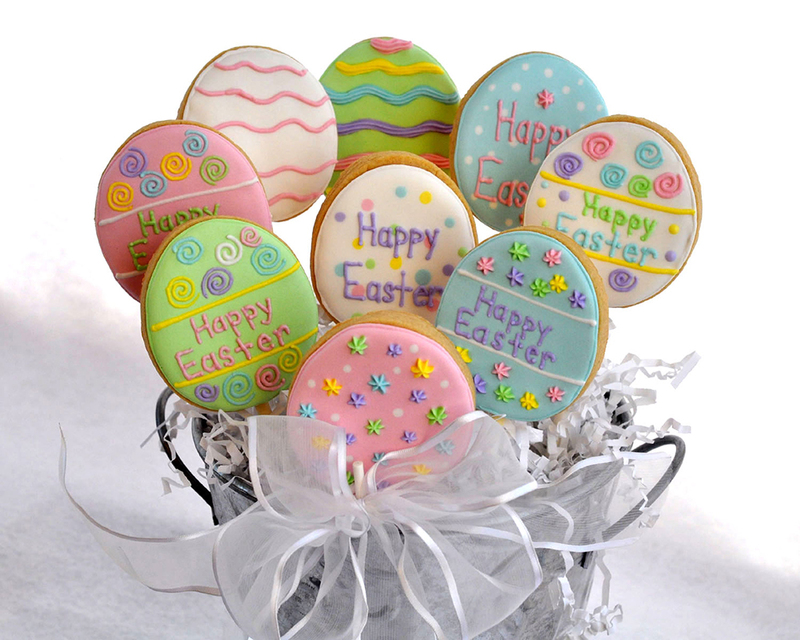 These make a great Easter dessert trey item that can easily be served and passed around without any kind of cutting which means less of a mess and less of a cleanup. This unique recipe combines Easter with cookies and lollipops for an unforgettable Easter dessert that your guests won’t soon forget. 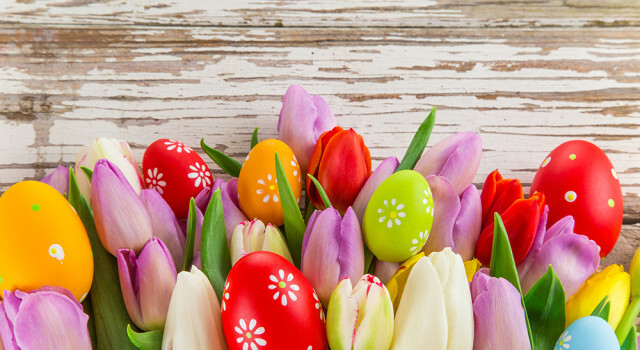 The recipe starts off with the cute idea of making egg shaped cookies that you can decorate with a whole multitude of colors that will rival any real life painted egg. The recipe goes a step further however by incorporating wooden sticks that turn these delectable frosted cookies into little lollipops to be admired and enjoyed without having to mess up the decorations with your fingers. As an added bonus these can easily be wrapped in plastic and be given as gifts or included in the Easter egg hunt for the kids.